BJP spokesperson alleged that Chanmohan Tripura was killed by a group of CPI-(M) cadres at Dalapati village in Dhalai district in 2016 and despite lodging the FIR, no action was taken by the police. 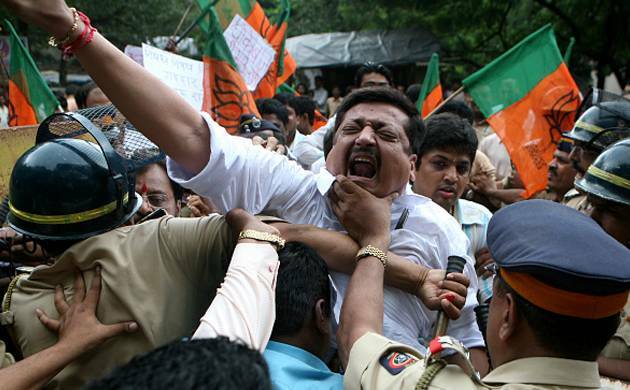 More than 17 thousand Tripura BJP activists, including party president Biplab Deb, were arrested on Saturday for protesting against the alleged killing of a party cadre by ruling CPI-M activists, and were later released. Altogether 17,331 party activists were arrested and released, police said. However, BJP spokesperson Victor Shom claimed that 36,414 activists of the party were arrested from different parts of the state and later released. He also alleged that 112 activists were injured during the clashes with the police and 18 persons were admitted to different hospitals in the state. The party spokesperson alleged that Chanmohan Tripura was killed by a group of CPI-(M) cadres at Dalapati village inDhalai district in 2016 and despite lodging the FIR, no action was taken by the police. The police have claimed that Chanmohan was murdered by a mentally challenged person, who was immediately arrested following the incident.